Welcome to our CHALK IT UP! Series! 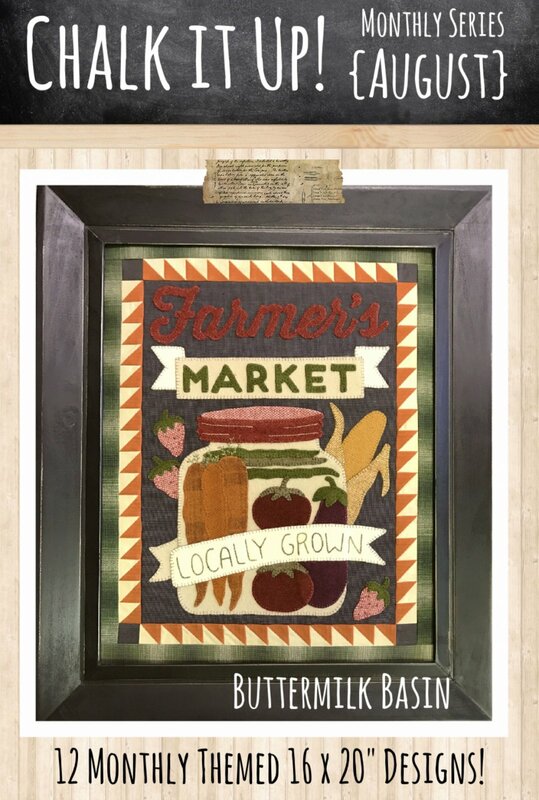 Each month Stacy designs a Fresh & New "chalkboard" design in wool on fabric reminiscent of a an old chalkboard! 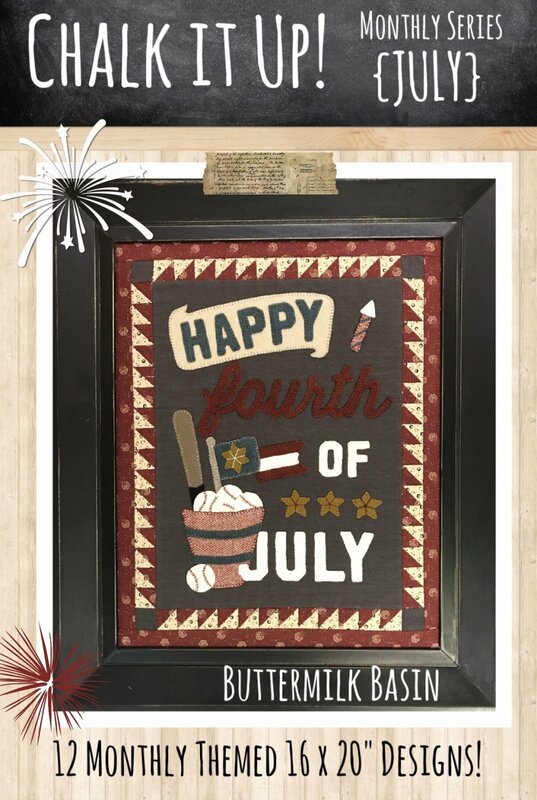 This unique concept is then framed in festive half square triangles & framed in a distressed frame, making it easy to swap out each month! Don't want to frame it... simply make it into a pillow! Enjoy! Sorry! We did sew this one incorrectly! We are in the process of redoing it but wanted to give you an idea of what it would look like. All orders placed will feature the CORRECT version we are working on! This one is for all you glampers & campers out there! June is just the perfect month here in MN so be out camping! 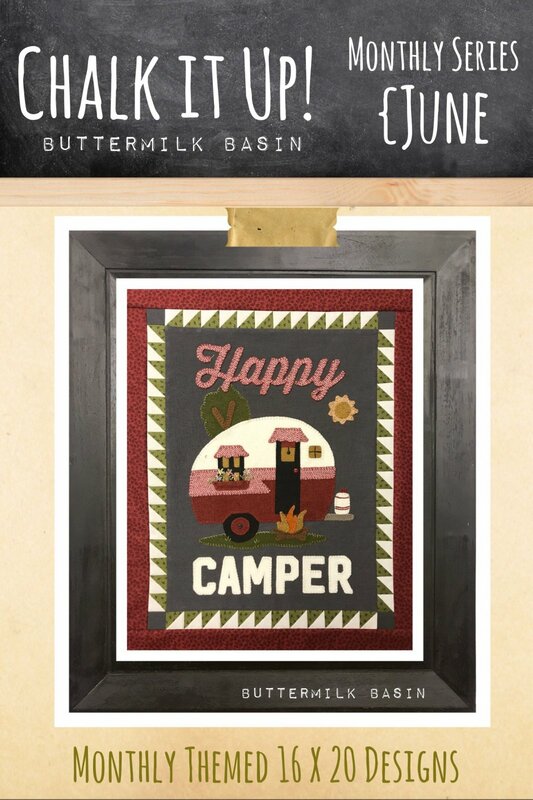 This would be perfect to hang in your camper too! Size: 16 X 20 Inches. 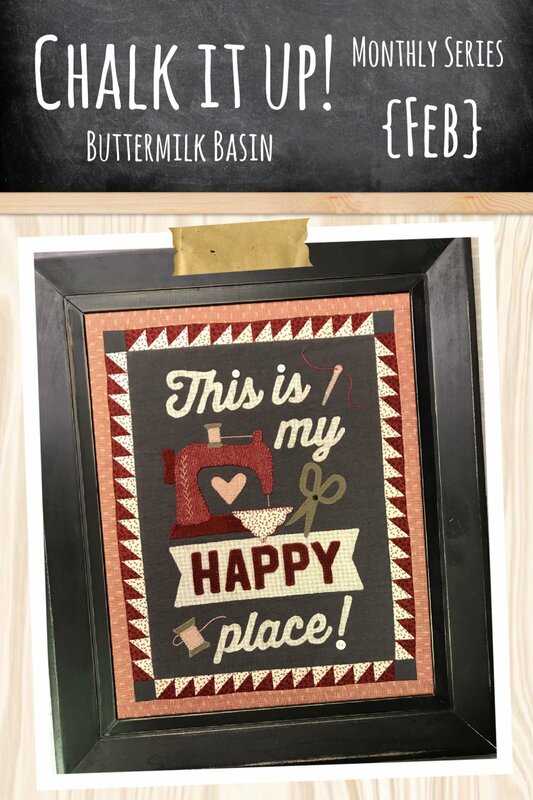 This month's Chalk It Up design says it all, "This Is My Happy Place!". 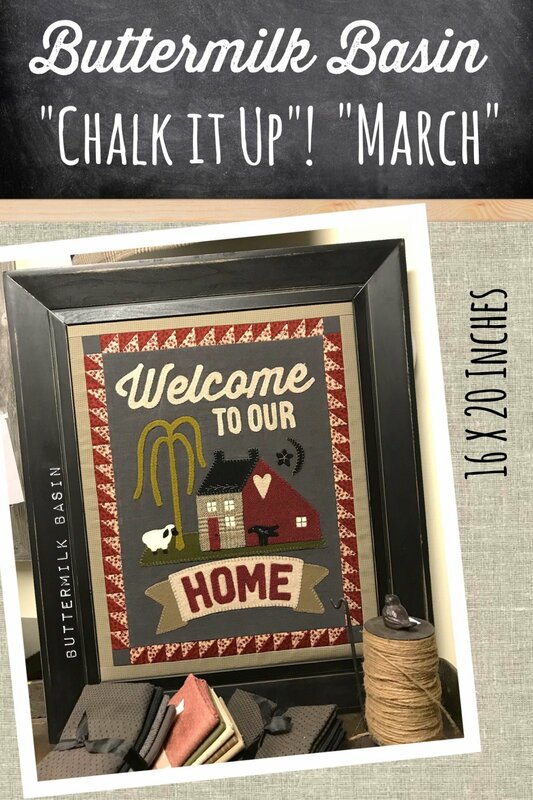 The fabric chalkboard looks great framed as ours is finished, or bind it and hang it anywhere in your home! This month's Chalk It Up! warmly welcomes your family and friends into your home! 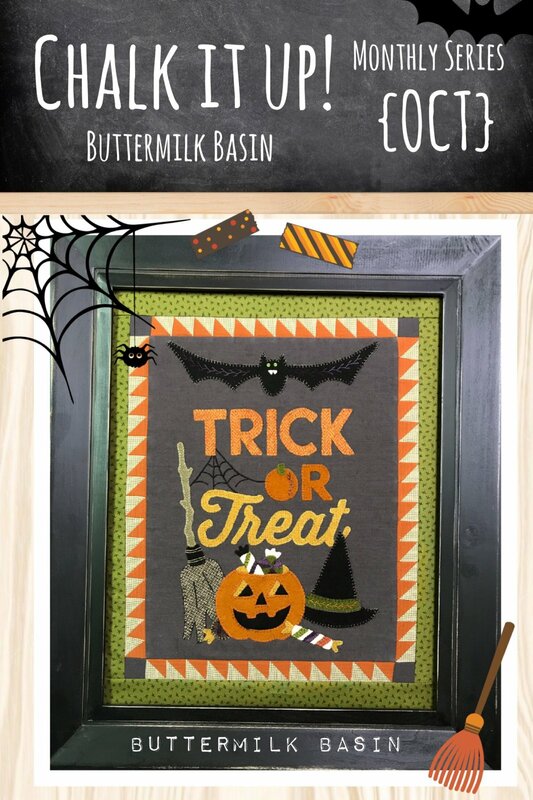 The fabric chalkboard looks great framed as ours is finished, or bind it and hang it anywhere in your home! The kit contains the wool and fabric to make this fun project! This month's Chalk It Up! warmly welcomes your family and friends into your home! 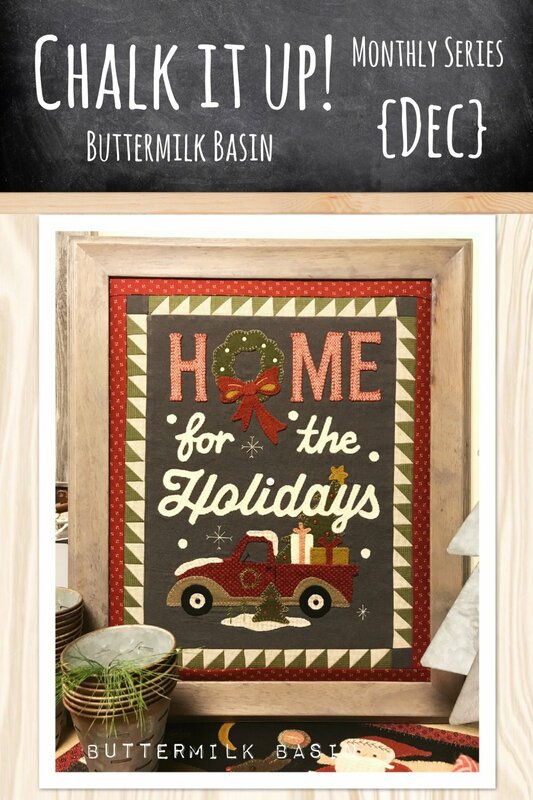 The fabric chalkboard looks great framed as ours is finished, or bind it and hang it anywhere in your home! 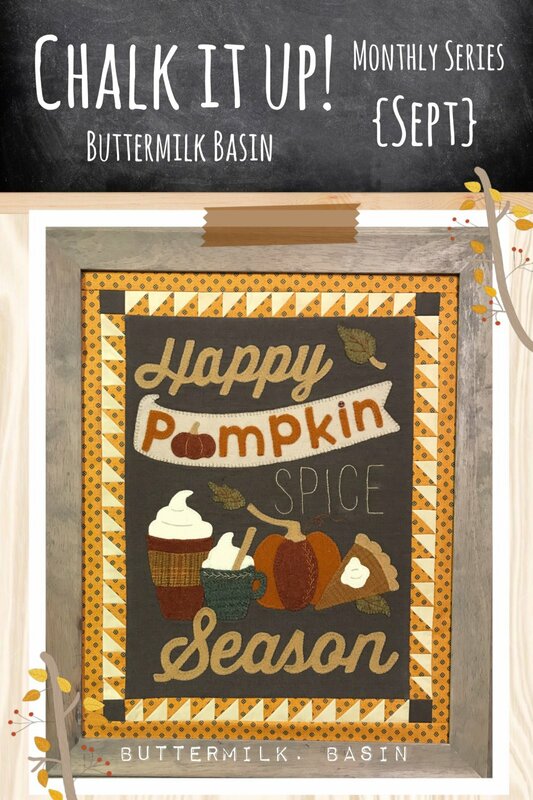 This month's Chalk it Up! 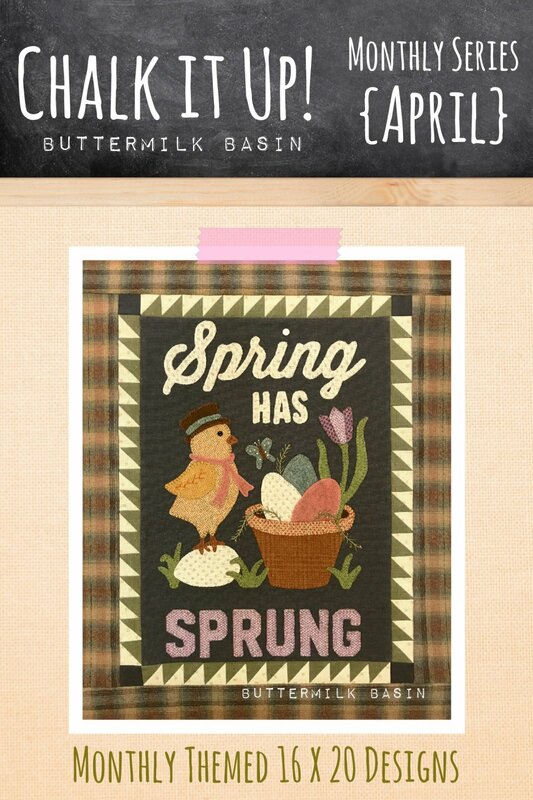 reminds us that Spring has Sprung! 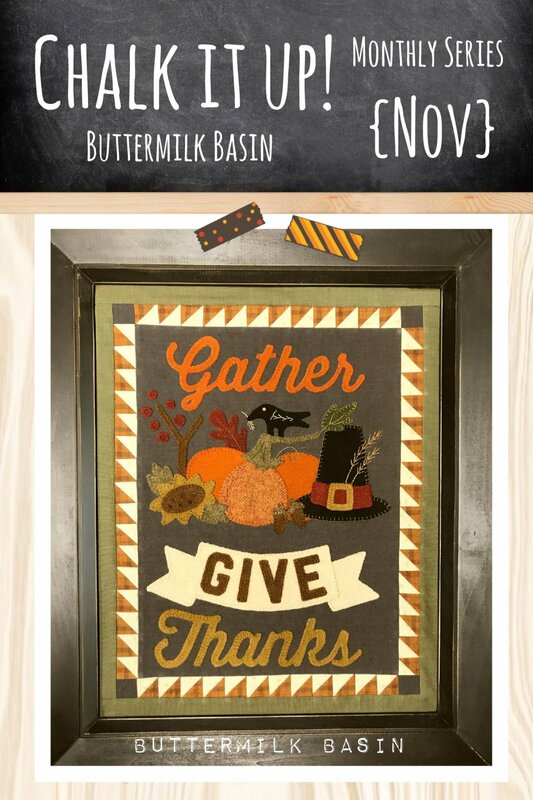 The project is 16" x 20" and looks great framed as we do, or you can quilt it and make it into a wall hanging. This is for the pattern and kit with fabric and wool. Spring Has Sprung! is the wonderful saying on this month's Chalk it Up! This is for the pattern only. May's Chalk it Up! features a lovely summer vignette titled "Our Nest". The project is 16" x 20, and looks great framed, or would make a nice quilted wall handing. This is for the pattern and kit including the fabric and wool. May's Chalk it Up! 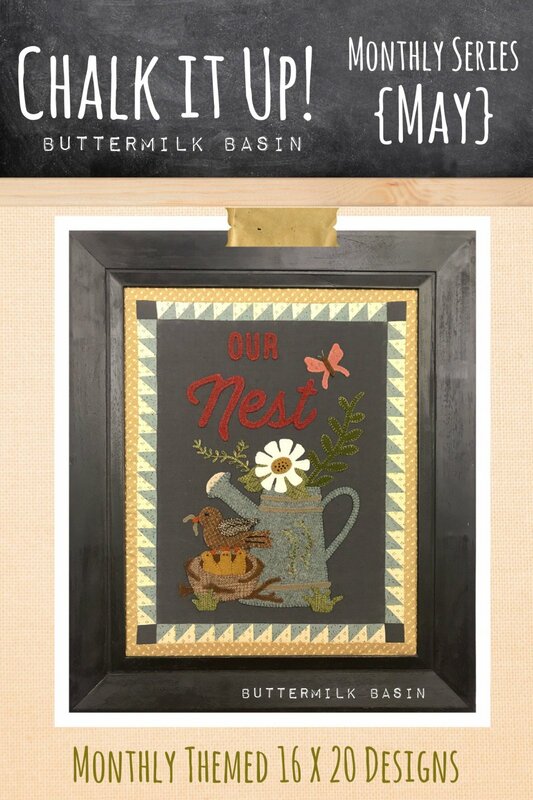 features a lovely summer vignette titled "Our Nest". The project is 16" x 20, and looks great framed, or would make a nice quilted wall handing. This is for the pattern only. 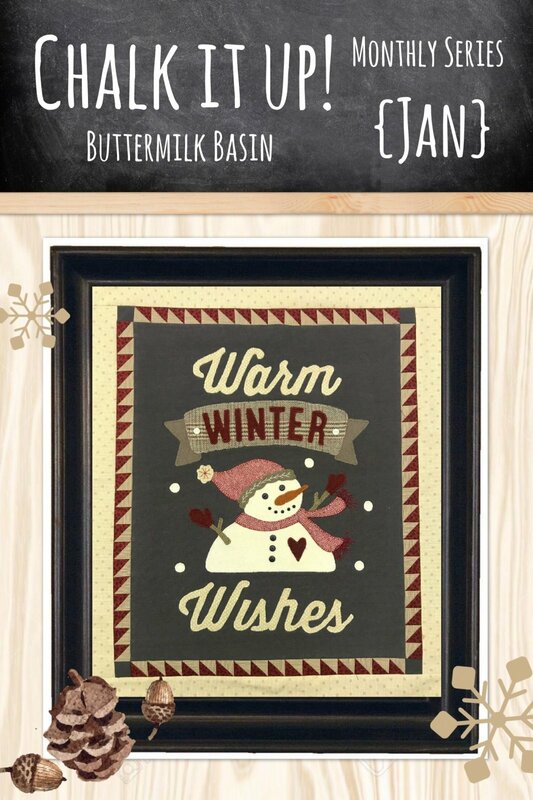 Each month we will be releasing a "chalkboard" look themed design in cotton & wool! Each 16 X 20 design can be made into a quilt or framed! Nothing says Christmas like "Home for the Holidays" does! If you haven't made one of our "Chalk it Up!" designs... this one is the perfect one to make or give as a gift! Kit includes pattern, wool & fabric. Size 16 X 20 inches. Nothing says Christmas like "Home for the Holidays" does! If you haven't made one of our "Chalk it Up!" designs... this one is the perfect one to make or give as a gift! Size 16 X 20 inches.